While visiting a crafts fair during the July 4th weekend, I met a lovely couple from the Woodstock, New York area. They were travelling around the East Coast, selling their home made clothing at similar fairs from New York to Massachusetts. Within two minutes I discovered that they were Jewish and identify with their local synagogue. The husband told me that he enjoys reading the weekly emails by their Rabbi; an email which enables the Rabbi to communicate with people electronically as well as in person. I identified myself as a rabbi, and explained that I too, enjoy electronic communication with my synagogue community. After writing a receipt for the purchase I made, the vendor gave me his email so that I might send him my weekly columns. My point is not to impress you with his interest in my particular column, but to share the various-and unanticipated- ways we make new connections. Our website is an important means of making new connections. Through the website we can share with you-in words and in pictures-the activities and programs of the Lake Success Jewish Center. We will write weekly Torah commentaries, summarize important current events, provide you with monthly calendars and share all the special events and experiences which touch our community. Through our website we invite you to be part of our extended family. We hope you will not only accept our invitation, but will share your thoughts, opinions and reactions. 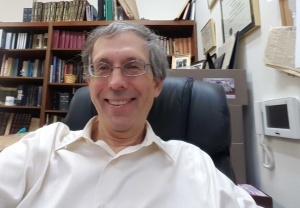 Click here to email Rabbi Klayman.